We are pleased to welcome Mary Tatro, RN, MS, as Director of Inpatient Services to our MRH family. 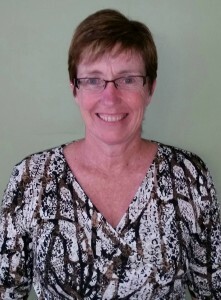 Mary has twenty years of Nursing experience at Kent Hospital in Warwick, Rhode Island; with the last nine years of her career focused in Nursing Management. Her formal education includes a Master of Science degree in Nursing Administration from the University of Rhode Island, North Kingston, as well as an Associate’s degree and a Bachelor of Science degree in Nursing. Mary will begin her position with MRH on July 31st and will be overseeing the Inpatient Unit, including Med/Surg and SCU. Mary has two grown children; a son who lives in North Conway, New Hampshire and a daughter in Rhode Island. She has purchased a home in Millinocket and will be relocating with her partner, who is retiring from a career of serving our country in the military. In her free time, Mary enjoys the beach, horses, listening to music and being outdoors.